As you may have noticed from earlier blogs, I have been really blessed lately by the teachings of Joseph Prince. I feel that he speaks very eloquently of Grace and, as a recovering legalist, it is a message I certainly need to hear! God is not about behavior modification, he is about heart transformation. No one in the church, it seems, teaches pure law, but a mixture of law and grace. But Jesus said you cannot put new wine (grace) in an old wineskin (law). There has been a change in our relationship to the law since the cross. The law condemns the best of us, but grace saves the worst of us. Grace is the ministry of the Spirit! You cannot be under water and not be wet any more than you can be under grace and not be holy. Those who are loved best, love best. Those who know that are forgiven totally and completely, forgive others totally and completely. Love is the fulfilling of the law. Grace is God’s unconditional love love for you completely independent of our performance. You can’t mess this up, for where sin abounds grace much more abounds. We love because he first loved us. We love God, and we love each other, as we are loved by God – as we allow his love to permeate our hearts. Are you letting yourself be loved by God? The next morning at Grace House I woke up, ate a brownie, read my Bible, had some fellowship and prayer with a brother there, and set out on the road. The day was absolutely perfect. It was such a beautiful morning! Sunny skies, the perfect temperature for a walk, and that fresh morning smell in the air. It was indescribable! Charity even trusted me in her truck with her keys while she stopped to run some errands and I trusted her with some of my lame poetry about God. Finally she dropped me off at a truck stop on the way to Baton Rouge. Near the truck stop a man was stopped on the side of the freeway on ramp cleaning out his car. I just assumed that he had stopped for me, which wasn’t the case, but he was nice enough to give me a ride all the way to New Orleans after a quick stop by his home in Baton Rouge. He told me he had been debating about whether to go to New Orleans at a friends invitation anyway. The drive along the elevated highway through the alligator and snake infested swampland was interesting to say the least. As we drove he told me about how New Orleans was below sea level and how they buried 90% of people above ground. When we arrived in New Orleans I stopped to pick up a map for $2.95 so I could locate the YWAM house. 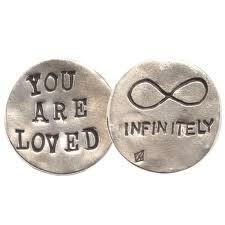 When the cashier handed me back a nickel after I handed him 3 dollars, it reminded me of what the man said to me the night before about my faith being worth less than a nickel. How valuable is our faith to God? Priceless. On the third day of hitchhiking I arrived at the YWAM base in New Orleans. While I was at the YWAM base in Lindale, Texas they had called ahead to the YWAM base in New Orleans so they could expect my arrival. It seemed that the Lord had planned for everything. I met another man who was a seasoned evangelist. I wish that at the time I had been more teachable and more mature. I would have listened more and tried to learn from his experience. He had a practice of handing out Gospels of John. This is a practice that I picked up and still continue to do in my ministry in the nursing homes. I had also learned that Carman, a famous Christian singer, was putting on a concert and also that Benny Hinn was in town doing a healing crusade that same night I arrived. That first night I took a walk down along the levee along the Mississippi river and prayed. I walked down to a bar and stood outside it. An older man came out to me and said, “What do you see boy?” Without thinking I said, “I see Jesus Christ.” The man stumbled back when I said that – visibly shaken. Another man came out of the bar and stood next to me. I learned that he was a Native American from the Pacific Northwest where I had grown up and we got to talking. I told him of my hitchhiking adventure and that I had come to share the good news of Jesus with people. I don’t remember how it came up but I remember telling him that lust was a shameful sin. He tried to justify it saying that if women were willing to do it then what’s the harm. He finally admitted to me that it was wrong and I was able to pray with him. New Orleans is crazy wicked during Mardi Gras. I saw pimps with prostitutes parading down the street and all sorts of vulgarity on display. I mostly stayed on the street closest to the river. I couldn’t even go to Bourbon Street (the fourth street in from the river and where most of the activity was) because it was just so spiritually oppressive. I spent most of the time just praying and talking with people about Jesus. I approached people and prayed with whoever I felt the Holy Spirit lead me to. I soon got separated from the two guys I was ministering with because I spent too much time talking with one older guy. I once found myself standing next to this younger guy about my age who exposed himself to a group of girls on a balcony for some beads. As he was zipping up his pants he looked down and read a Christian tract lying face up on the ground. The cover read, “How will we escape the fires of Hell?” This guy said, “Well, I’m just glad that God is a forgiving God.” This guy was like me. We were the same. We are all the same. Every one of us is in need of a forgiving God. We are all very screwed if God isn’t forgiving. One time on the ferry I approached a young man to share Christ with him and he said to me, “Get the f*#! away from me or I’ll kill you.” I walked away. On that same ferry there was a ministry evangelism team doing a skit/song & dance and sharing about Jesus. I wasn’t afraid because I had the philosophy that what you project into the world has a way of coming back to you. People respond to love and kindness. I wasn’t going around preaching a “turn or burn” message but simply sharing God’s love and praying with people. Scripture says that while we were at our worst Christ died for us and where sin abounds, grace much more abounds. It’s called “good news” for a reason. It’s good news for even the worst of us sinners. My favorite experience happened on the day after Mardi Gras. For the first time in my life I set foot in a Catholic Church. I went with Charamie, a girl I had met there at YWAM, because she invited me. I was struck by how similar the message was compared with all the various other Christian churches I grew up in. I was also impressed that I didn’t feel judged even though I looked just like any other guy who had partied hard the night before. I had a hair wrap with the colors of Mardi Gras in my hair – Purple, Gold, and Green. I was told by one of my new friends the following Christian representation of the colors: The purple represented the royalty of Jesus – the gold, the splendor and glory of his kingdom – and the green the new life he brings. The priest put the wafer on my tongue, “the body of Christ” he said and marked my forehead with the ashes in the form of a cross. Charamie and I then spent the day with a homeless street musician named David who played the harmonica. He had a box full of harmonicas and would play the most amazing tunes. He would say to a passerby, “Spare change for a white piece of trash?” The joke was on them, he would say, because he was just exposing what they were thinking anyway. He showed us around and introduced us as locals. We had lunch together on Bourban Street and I had my first Po-Boy shrimp hoagie sandwich and for no apparent reason got a bloody nose in the restaurant. I had Charamie carry my money for me. I told her that if people asked me for my money I would just give it all away. The following day I was walking down Bourbon Street again with Charamie. As I walked past a restaurant I felt inclined to go in and pray for a woman. I walked in and went to the back where she was. I talked with her and when she told me that she was blind I wasn’t sure what to do. Did God want to heal her? I had no idea. I tried to pray for her but she became hostile, told us not to touch her and yelled at me to go away. The staff at the restaurant was giving me a bewildered and shocked look and so I left not knowing what in the world had just happened. What was that all about? I knew in that moment that a life of faith was far more than just blind obedience to some supernatural guiding voice. God has in mind for us something far more intimate. He wants a partnership. He wants a friendship. It would take many more years for me to learn this lesson… and I’m still learning. What thoughts do you have in regards to the relationship God would want to have with you? What difficulties do we face in realizing this relationship? What can we do to foster it? Leave a comment!